You have added Longing For Love Crochet Lace Midi Dress in Off White into shopping cart. 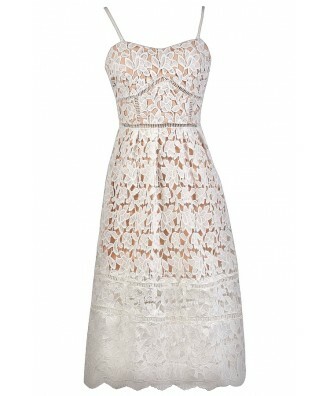 This beautiful crochet lace dress is lined in beige for contrast--and it has a unique longer length midi cut. The Longing For Love Crochet Lace Midi Dress is lined to the mid-thigh. It has a sweetheart neckline, adjustable spaghetti straps, an empire waist, and an A-line midi length cut. 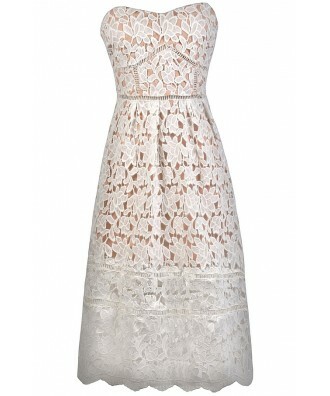 This dress is made entirely of bold crochet lace. An exposed back zipper completes this look. 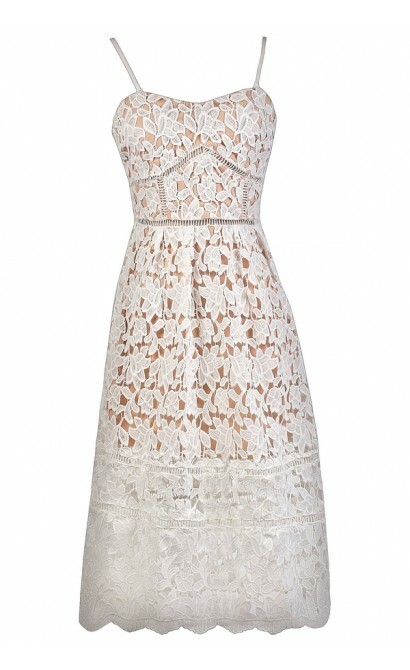 The Longing For Love Crochet Lace Midi Dress is perfect for any event. The Off White version would make a cute rehearsal dinner dress or bridal shower dress. Pair it with beige pumps or wedges and you're good to go. 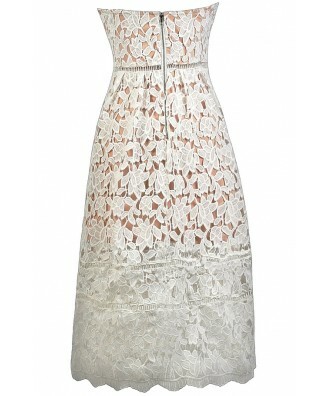 You have added Longing For Love Crochet Lace Midi Dress in Off White into Wishlist. 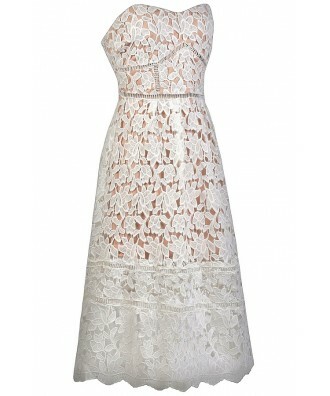 You have added Longing For Love Crochet Lace Midi Dress in Off White for Stock Notification. 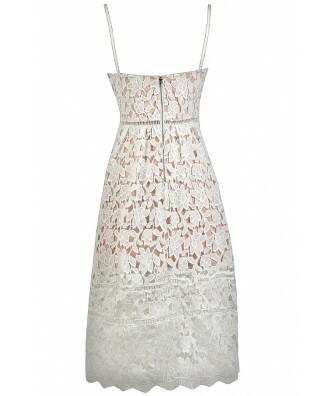 You have set Longing For Love Crochet Lace Midi Dress in Off White as a loved product. 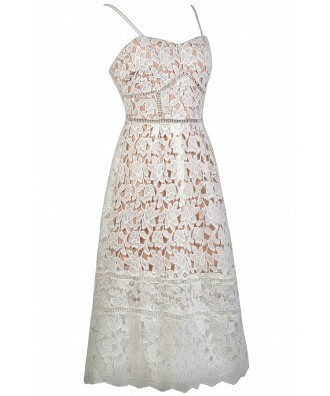 You have removed Longing For Love Crochet Lace Midi Dress in Off White as a loved product.